E-commerce presents many difficulties for industrial suppliers, distributors, and consumers. Some of these challenges include identifying/confirming product details, obtaining answers to product-related questions, and finding post-sale technical support. Pressure transmitters are used to measure pressure and gases—a sensitive role in process manufacturing. Periodic maintenance and calibration is required to ensure maximum performance from your pressure transmitters. 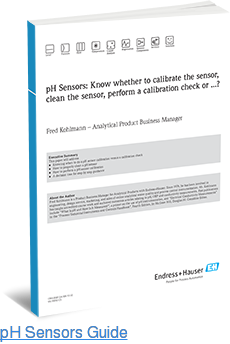 pH Sensors – Calibrate the Sensors, Clean the Sensor or Perform a Calibration Check? To ensure reliable, efficient operations, it’s crucial that industrial manufacturing companies establish proper procedures and systems for regularly maintaining and calibrating facility equipment. These procedures usually include various types of inspections and tests. Preparing for FSMA Audit: Are You Ready? The Food Safety Modernization Act (FSMA) is shifting focus from response to foodborne illnesses to prevention, before consumers’ health and wellbeing are ever endangered. To comply with these strict new regulations, companies must adhere to specific planning, training, and monitoring practices. Reliable proof testing is critical for ensuring safe, efficient operations, and is one of the best tactics for preventing passive protective function failure. 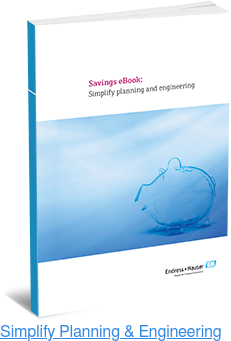 In some applications, however, traditional proof testing can actually create additional work and lead to higher expenditures, as devices typically need to be removed from their system operations and calibrated annually. In the life sciences industry, various instrumentation is used to power critical manufacturing processes; it’s essential that this instrumentation is high-quality and reliable to ensure smooth operations and reduce the risk of extra downtime, labor needs, and expenditures. 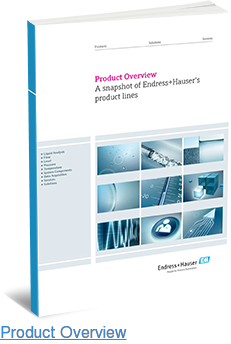 At Endress+Hauser, we’re proud to supply the life sciences industry with various measurement instruments, all of which fully comply with relevant regulations and standards — including FDA, ISPE, GAMP, ASME BPE, and EHEDG. Below are a couple of the main sectors we serve within this diverse field. To remain competitive in the ever-evolving electromagnetic flowmeter market, companies must always be looking to develop unique new products with advanced capabilities while offering a comprehensive suite of support services to meet customers’ diverse liquid flow measurement needs. Resistance thermometers — also called resistance temperature detectors (RTDs) — are sophisticated temperature sensors that function based on the principle that a material’s electrical resistance changes as temperature does. Flammable and toxic substance processing presents a wide range of safety and logistical challenges. Chemical plants and facilities must be able to achieve pure product quality according to customer specifications — all while ensuring optimal safety and efficiency.